Wow, what is she reading? Transparent magazine, or just another ps. Anyhow, the girl is not so bad to pick up. 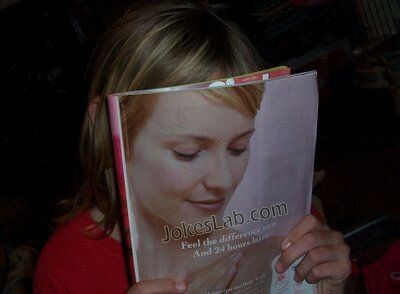 This entry was posted in Funny Pictures and tagged funny, magazine, man, picture, ps, reading, woman. Bookmark the permalink.